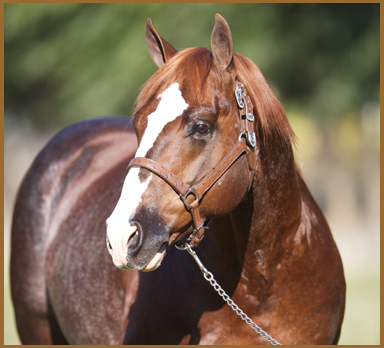 Offspring by WR THIS CATS SMART earned more than $35,000 at the Peptoboonsmal Derby, which made him the event’s top sire. After earning $236,474 in the show pen 1999 stallion WR This Cats Smart climbed the ranks as a sire and still continues to build his reputation in the breeding shed. In 2016, WR This Cats Smart (High Brow Cat – The Smart Look, by Smart Little Lena) was ranked No. 3 on the Equi-Stat Five-Year Stallion Statistics Reined Cow Horse Sires chart, and he boasts offspring earnings of $9 million. This year, WR This Cats Smart was the leading sire of performers at the Peptoboonsmal Derby with five-money earners that brought home more than $35,000. A few of his top performers at the event include This Cats Forever (out of Soula Jule Forever, by Soula Jule Star), Señor Shiney Cat (out of Shiney Señorita, by Shining Spark) and Shine Smarter (out of Shiney Tari, by Shining Spark). This Cats Forever was the stallion’s leading performer after picking up the Intermediate Open Championship and tying for fourth in the Open with Ken Wold. Altogether, Daniel Perez’s Gardiner Quarter Horses-bred gelding and Wold garnered $15,113 at the event. Mark Sigler guided Senor Shiney Cat, owned by Dominic Conicelli, to a sixth-place finish in the Open and Reserve Championship in the Intermediate Open for total show earnings of $10,755. With that success, the Gardiner Quarter Horses-bred stallion was WR This Cats Smart’s second-tightest earner at the event. Shine Smarter rounded out the stallion’s top three performers at the Peptoboonsmal Derby after coming in either in the Open with Sarah Dawson and Shine Smarter, who was bred by Carol Rose and Richard Bell, collected $4,101 for owner Richard Winters bringing the mare’s lifetime earnings to nearly $95,000.